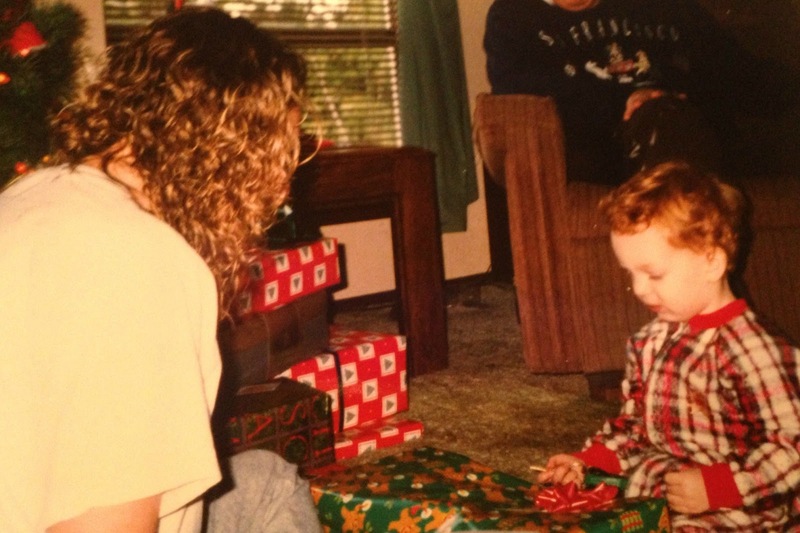 There are so many good Christmas memories locked forever in my mind. Like the years we visited my grandparents in California, and went to the beach on Christmas Day. Or the first year my husband and I were married, waking up to a white Christmas. 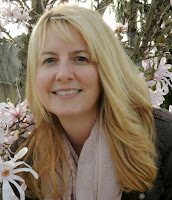 Or Christmas 1997, when I had a two year old and a newborn. If I'm being honest, I don't really remember that one, due to sleep deprivation. But I'm sure it was magical, because children make everything even better at Christmas. 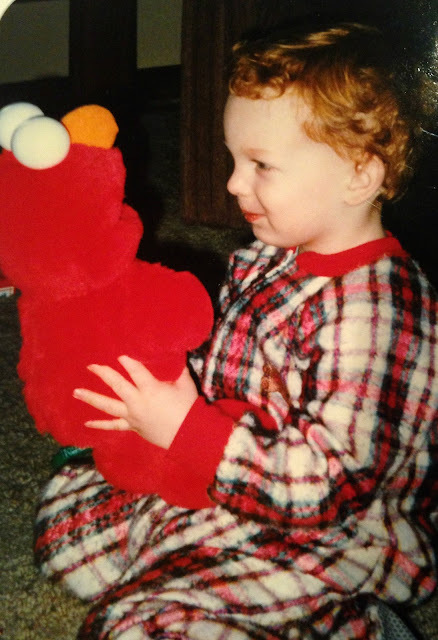 Which brings me to one of my best Christmas memories; the year my sister gave C a Tickle Me Elmo. C and I watched Sesame Street every morning, and while he loved Big Bird, Oscar the Grouch, and Ernie, Elmo was by far his favorite character. In August my sister was shopping, saw a talking Tickle Me Elmo, and knew it would be the perfect gift for C. As the holidays got closer, Tickle Me Elmo became the "hot property" that everyone wanted for Christmas. People were waiting in hours long lines when new shipments came in, and soon buyers were willing to pay $300 or more for this $50 toy. When a co-worker found out that my sister had one tucked away, she offered her $500. All of us encouraged D to sell Elmo. She could have used the money, and C would never have known the difference. But Aunt D wanted C to have it. On Christmas morning I watched nervously as C ripped the paper off the gift. What if he played with Elmo for a few minutes and then cast him aside? I knew I would feel bad if he didn't love him as much as my sister was hoping he would. C pulled Elmo from the box, and gave him a wary glance as he started to talk. By the time Elmo began laughing and shaking, C was smiling and giggling along. He went everywhere with C that day. Actually, they were pretty inseparable for years, to the point where I thought I might go crazy if I heard that high pitched voice one more time. Many nights Elmo's signature laugh would come from C's room when he rolled onto him in his sleep. Tickle Me Elmo is still with us, packed away in a box somewhere. C has grown, and so have his toys. This year he got skis and tools for Christmas, and while they made him smile, there's nothing like that first special gift that holds a place in your heart. Which is probably why I've kept Elmo all these years. 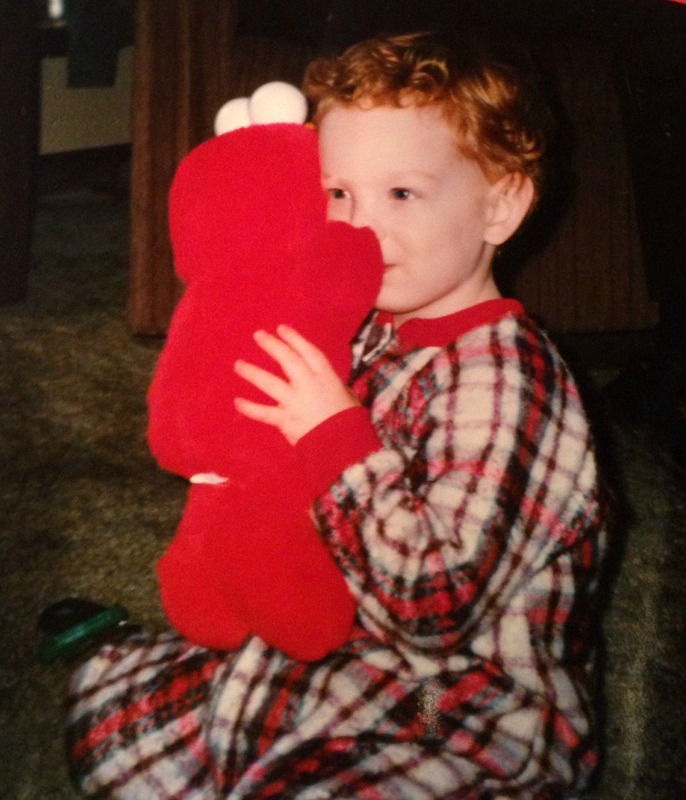 Maybe I'll be able to pass him on to a grandchild someday, and recapture the sweet Christmas memory of that curly haired boy, so enthralled with a stuffed animal that giggled. I hope that this holiday season has been full of new memories for all of you. Happy New Year!